We all really enjoyed our stay at Rosemont. The owners were very friendly and helpful and served a substantial full Irish breakfast. Lovely B&B, Great hosts, Rosemary gave us a lift to our wedding which saved on taxi costs, and the breakfast was lovely the next day. Spotlessly clean and nicely decorated. Will stay again. Very nice accomodation, clean and big room. Rose was very nice and helpful. The house was very clean and we enjoyed our stay. Rose was a very nice hostess. We spent two weeks in Ireland staying in many different B&B's. Rosement was our favorite. Rose was especially welcoming and gracious. She turned the heat on as it was a bit chilly that evening, No other B&B owner was that thoughtful. She helped me do some emergency laundering. The rooms were spotless with a wonderful mix of vintage, antiques and modern. The breakfast was lovely. We felt particularly cared for and very much appreciated her care and thoughtful attentiveness. 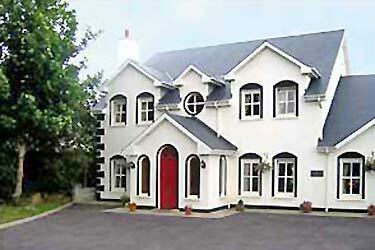 Very good B&B about 2 km from Tralee town centre. Great Bed and Breakfast with very friendly and welcoming hosts.